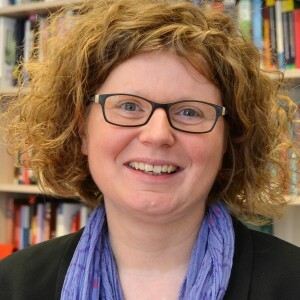 Diana Panke holds the Chair in ‘Multi-Level Governance’ at University of Freiburg and is the PI of several research projects (c.f. http://portal.uni-freiburg.de/politik/professuren-en/governance/forschung). Her research interests include international negotiations, comparative regionalism, small states in international affairs, multilateral diplomacy, international norms, institutional design, European Union politics as well as compliance and legalization. In these fields, she has published several monographs and journal articles in outlets such as Review of International Organizations, International Political Science Review, European Journal of International Relations, British Journal of Politics and International Relations, Comparative Political Studies, Cooperation and Conflict, Journal of Common Market Studies, Journal of European Public Policy, Journal of European Integration, Palgrave, ECPR Press, or Manchester University Press. The ongoing reserach projects are:1) The Design of International Organizations. Fostering Diplomatic Deliberation? Whether we look at constitutions, founding treaties, or the rules of procedure of states and International Organizations (IO), it is striking that many rules on interaction between actors create room for deliberation, whilst simultaneously limiting the time available for discussion. While the latter speeds up decision making, it risks reducing its quality and legitimacy. How are these competing elements formally and de facto balanced in IOs? Do IOs differ in this respect, and if so, how and why? The project first assesses variation in the extent to which institutional design fosters or inhibits diplomatic deliberation in IOs. Second, a survey captures the actual usage of institutional rules. On this basis, the project explains variation, fit, and mismatch in institutional design and diplomatic deliberative practices within and across IOs. Third, the project examines how and under what conditions deliberative institutional design and deliberative diplomatic practices impact IOs’ problem solving effectiveness and legitimacy. 2) Still Images - Moving People? How visual images trigger the willingness to participate in political protestThe political power of images has probably never been stronger than in today’s “information age” of digital media networks and social connectivity (Van Dijck, 2013). Digital media and mobile devices allow instant access to information about local, national, and global events, which is mostly visualized – at least in some way. Consumers of digital media are therefore exposed to countless visual representations of terrorism, environmental deterioration, social inequality, and human suffering, to name just a few of the most striking political issues of our time. Although many people are using digital media networks for information purposes on a daily basis (Lenhart, et al. 2010), the mechanism by which images have an impact on political involvement and participation remains unclear and needs further research (Rucht 2010, Anduiza, et al. 2012, Rucht 2014).At the same time, many images published in digital media are intellectually and emotionally provoking visual statements, and therefore highly politicized. But can still images in digital media also “move” people? Do they encourage political activism and impact the willingness of citizens to participate in political protest? This pilot study sheds light on the nexus between spontaneous, affective behavior and conscious, intentional action in response to visual images in digital media. Therefore, the pilot study will investigate the following research question: how and under what conditions do visual images trigger individual affective behavioral and cognitive responses that ultimately impact one’s willingness to participate in political protest? The pilot study ventures into methodological territory largely unknown in social sciences as it gathers data and theorizes how and under which conditions of emotional valence visual images can trigger changes in political action through combining pre- and post-surveys with eyetracking methodology.3) Towards an Increasing Regionalization of International Politics? Comparing the Development of External Competencies of Regional Organizations over TimeIn all geographical regions of the world, states cooperate in regional organizations (ROs). Although most ROs were initially created to foster economic cooperation between their respective member states, almost all of today’s 61 ROs are active beyond their borders as well. Case studies have illustrated that ROs are today important international actors contributing to international problem-solving across many policy areas (e.g. protection of endangered species, climate change). Nevertheless, there is no comparative study that examines to which extent the 61 ROs contribute to the regionalization of international politics and how this has changed over time. The project studies important preconditions for the ability of different ROs to act internationally. It sheds light on how the external policy mandates of the 61 ROs have changed in the period between 1945 and 2015 and across nine external policy areas and explains observed variation between ROs, across policy areas and over time. The project provides important insights into the dynamic evolution of ROs’ external policy mandates, accounts for the fact that some ROs are at the forefront of international politics while others are bystanders and explains why the regionalization of international politics varies across policy areas.